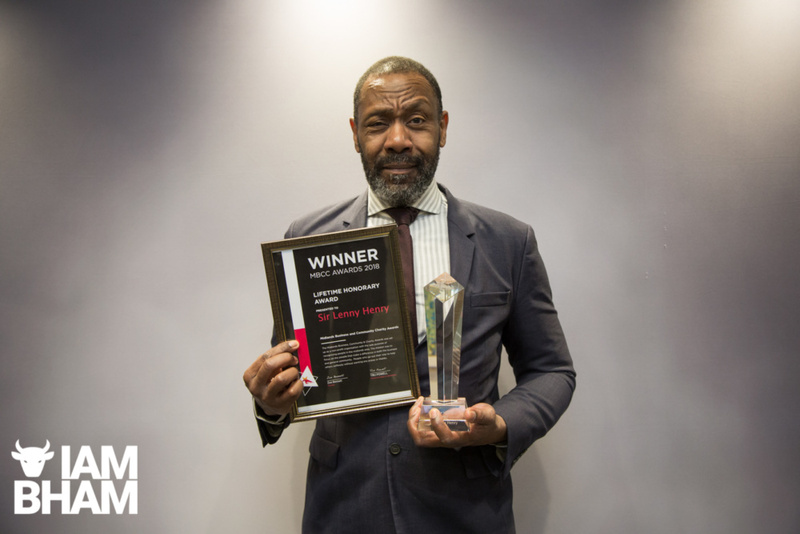 Dudley-born comedian, actor and humanitarian Sir Lenny Henry has received a Lifetime Honorary Award in Birmingham. 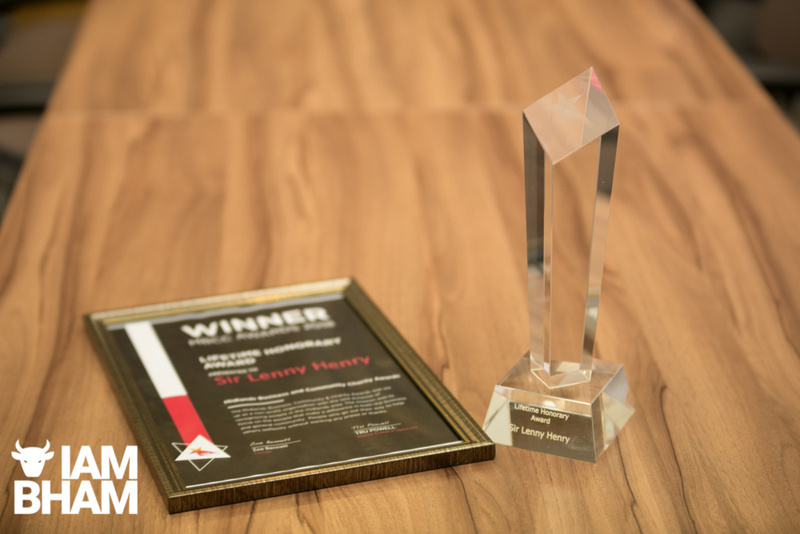 Sir Lenny received the lifetime achievement award from MBCC – The Midlands Business & Community Charity Awards – and was presented the accolade by The West Midlands Police Commissioner. 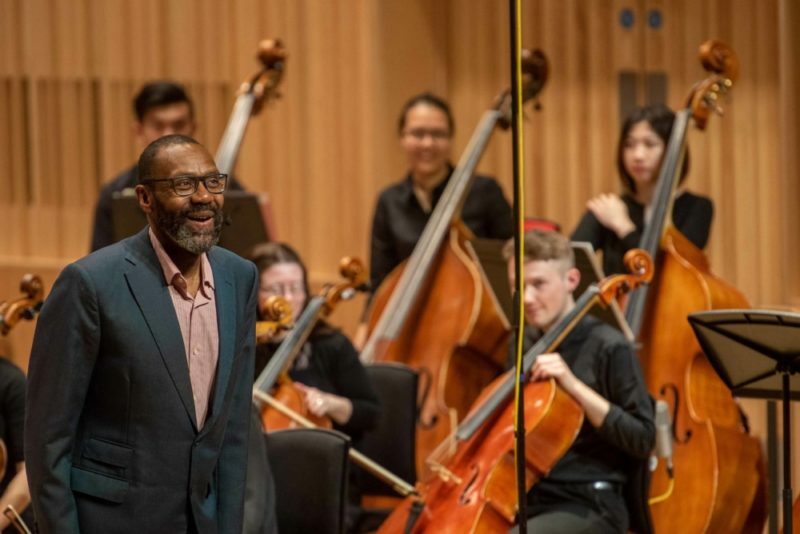 The actual award was won by Lenny Henry on November 3rd, last year at the MBCC’s annual glamorous event held at the Aston Villa Football Club, but he couldn’t personally attend at the time. “The Midlands is and always will be a special place to me. I won’t be here without this place. The thing that warms my heart the most about this region is its people. Warm hearted, full of life and always happy to help. There’s nothing quite like a ‘Midlander’. 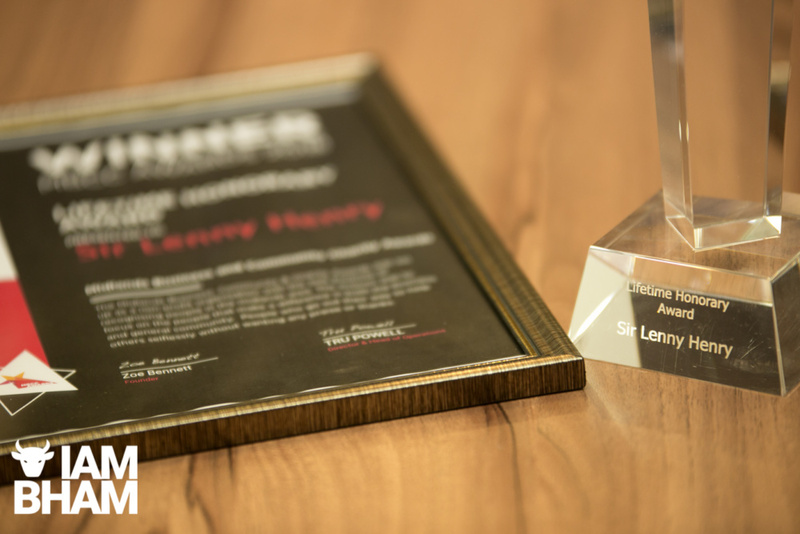 “I am truly humbled by this award. I have seen the list of the inspirational nominees, people, charities and organisations who have done some great things across the region. You are an inspiration to us all and represent the very best qualities of what it means to be from the Midlands. The Midlands Business and Community Awards was created to bring both the community and business world together to assist various charities. The 60-year-old comic received the physical award in person last week at the International Convention Centre (ICC) in Birmingham. “I didn’t set out to do this stuff, my mom was a Christian, she always stressed helping people worse off that ourselves, I guess as a result of that I do the same thing. 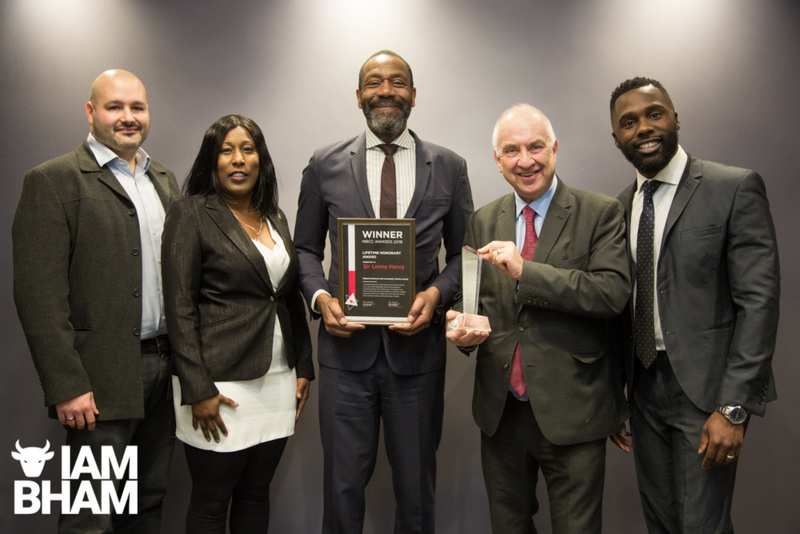 The award was presented by Zoe Bennett, Tru Powell and Paul Landa of MBCC, and West Midlands Police Crime Commissioner David Jamieson. 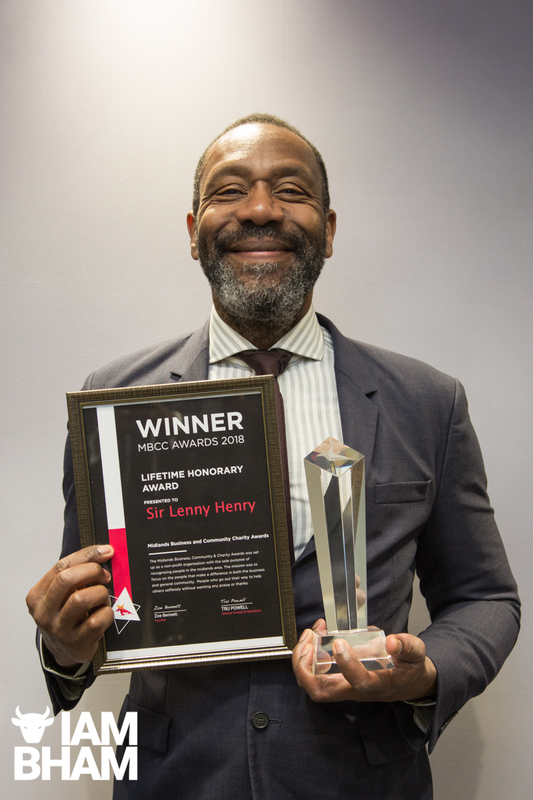 The latest honour adds to a long list of recognitions awarded to Sir Lenny including a lifetime achievement honour at the British Comedy Awards, a best actor Critics Circle Theatre award, a Royal Television Society Fellowship, a CBE in 1997 and a knighthood in 2015. 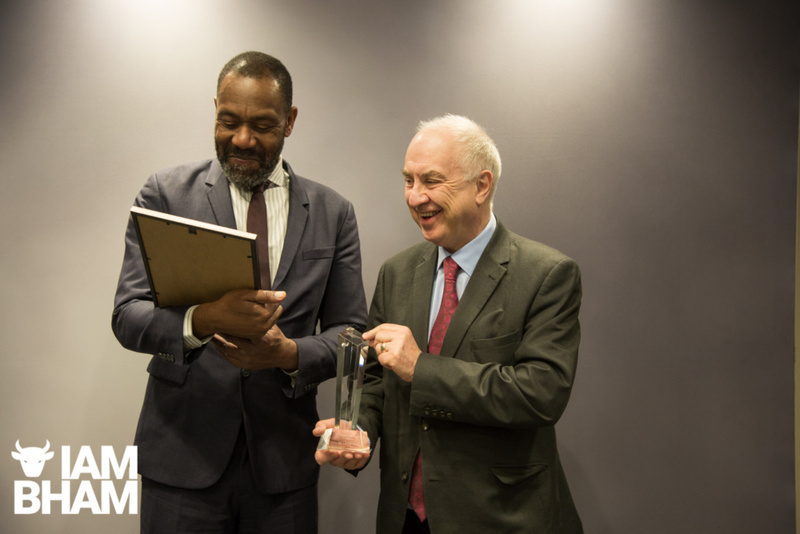 In July 2016, Henry became the chancellor of Birmingham City University to help inspire young people particularly in the West Midlands to get into learning. For more information about The Midlands Business & Community Charity Awards, click here.